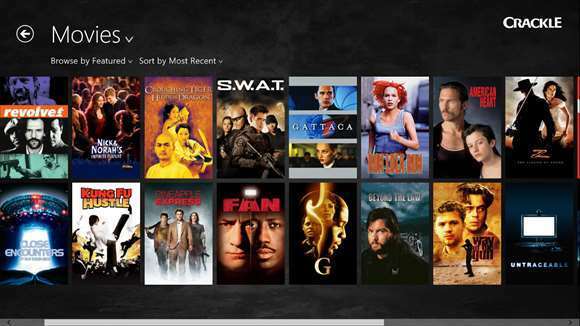 If you’re looking to watch free movies on your Windows 8.1, Windows 10 tablet, then you definitely need to check out these apps. Read below to find more about them. Everybody loves movies. Some prefer Comedy and some prefer Horror or Thriller, nevertheless, we all like those quiet family nights when we gather around the screen with a bowl of popcorn and enjoy a good flick. 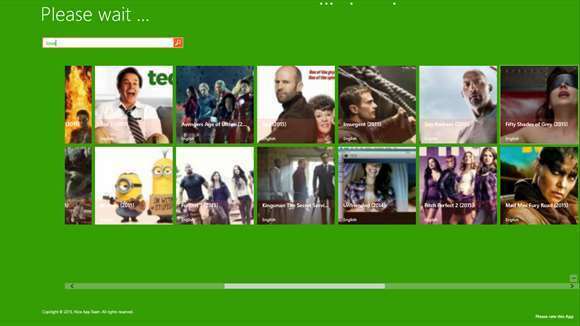 Movie lovers who own a Windows 8, Windows 10 or Windows RT machine have an extra reason to be happy – they can enjoy some really amazing free apps which allows them to watch their favorite movies and TV shows. The following list includes free apps as well as apps that require a subscription after a free trial period. What is the best app to watch free movies? 2018 Update: As Windows 10 started to become the main OS on Windows-based PC’s, lots of Windows 8 apps have been discontinued. This list is updated with the apps that allow you to watch movies during a trial version or old movies and shows. You will have to pay a subscription fee for some of them if you want to access a larger movie database or the newest films out there. There are some apps that have been discontinued from the Microsoft Store, but you can search and download them from other sources. How do I access free movie services unavailable in my country? 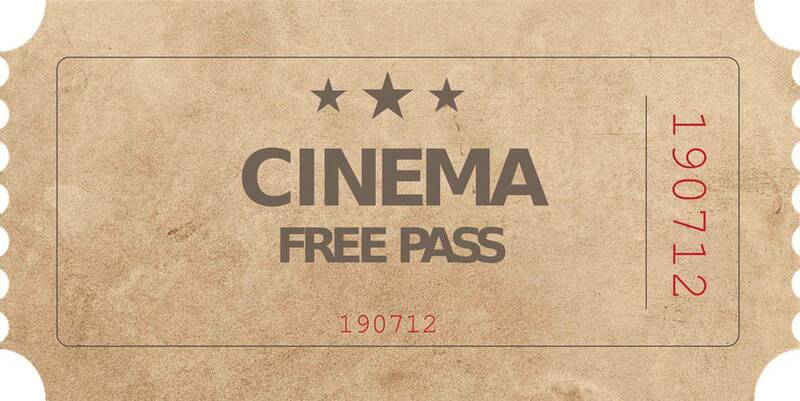 While the online movie industry is growing, there are many regulations and fees, but we will try to give you a list of the programs that will let you watch movies for free on your Windows 10, 8.1 and 8 PC. Before starting, you have to know that many of these services work better if you have a VPN and change your geo-location: it allows you to watch movies that are not free or available in your country. One of the best is Cyberghost VPN with a monthly fee of $2.75. 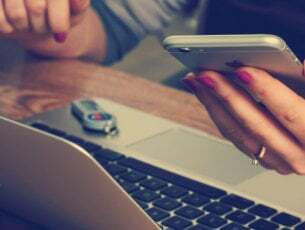 Besides changing your geo-location, it allows you to access foreign game servers, hides your IP from attackers and persons who need your personal data, and secure you against cyber attacks while surfing on different internet pages. 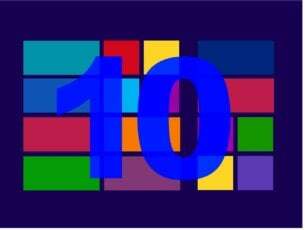 Which apps are the best for watching free movies on Windows 10, 8.1? The top of the list is Crackle from Sony Pictures Entertainment. This is an absolutely free app with tons of movies. The app is so far only available for users located in the US, Canada, UK, Australia, and Latin America. However, if you get a VPN on your machine, you can change your IP and access it. Movie addicts can choose from a large variety of genres like Action, Anime, Music, Comedy, Crime, Horror, Thriller, and Sci-Fi. After downloading the app there’s nothing stopping you from enjoying your all times favorite shows and movies like Gattaca, Iron Man, Spider-Man, Resident Evil and much more. 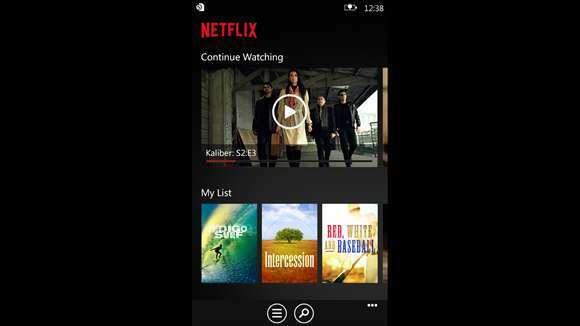 For those using a mobile device, gaming consoles or TV to watch videos, a watch list can be created so one can be sure they won’t miss any episodes. Another important thing to keep in mind is that the app is free, but thanks to the commercials you will get from time to time while using it. Question: What do I do if Crackle is not available in Microsoft Store? Answer: Try to change your region to the US or change your geo-location using a VPN service and try again to search it in Windows Store. Netflix is the world’s most popular subscription service for watching TV episodes and movies. Extended list of supported devices (mobile and PC). Rate your favorite shows and movies, the app uses this data to suggest the best titles for you. You can start watching the movies on one device and resume watching on another. You can get the app for free as part of your Netflix membership. If you are not a Netflix member, you can still benefit from a one-month free trial period. Question: What to do if Netflix is not available in my country? Answer: VPN is our ALL nowadays, so use one and try to change your location to a country where Netflix‘s trial is available. Be sure that you choose a Netflix-reliable VPN. Popcorn Time is a great alternative to Netflix for all users that are not in countries that allow streaming services. Almost every movie can be found on this app. Its main page is always full of best blockbusters and if you love everything that’s new in the cinema world, you are on the right address. However, you can still access some of the old’ good movies on this multi-platform. It is a very popular service because it is totally free. It uses a BitTorrent protocol for streaming in order to be free, the fact that raises several questions about its legality. What you need to know is that this app uses sequential streaming and do not download unauthorized copies using the P2P protocol. 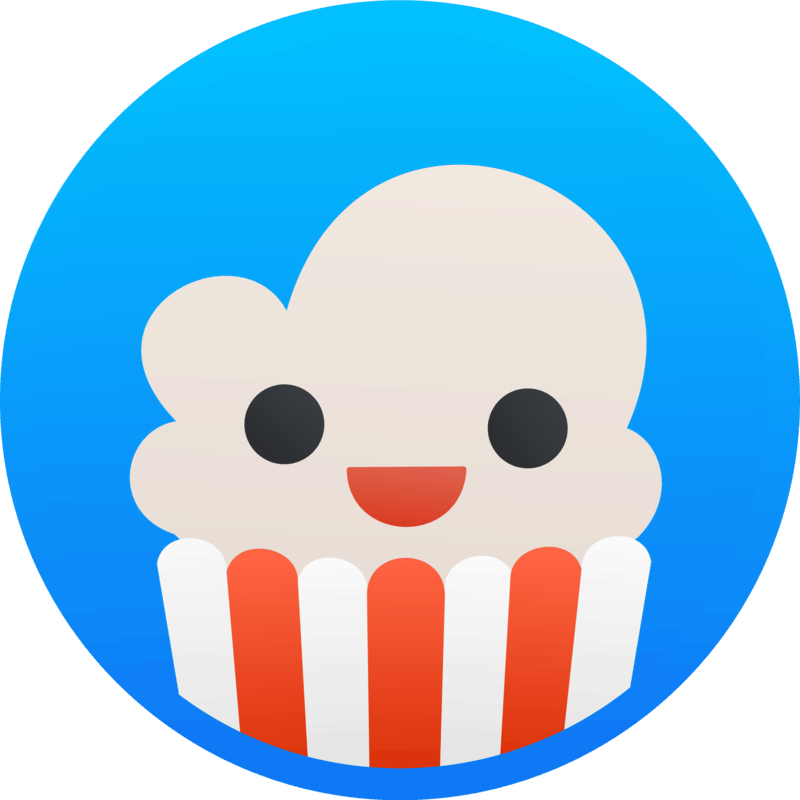 Question: Is it legal and safe to use Popcorn Time? Answer: It all depends on your location. 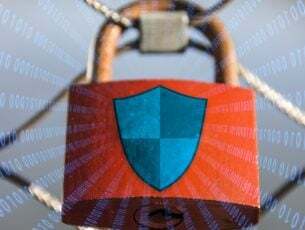 Some countries have surveys on persons and organizations that use P2P protocols so you should be careful (even Popcorn Time says so), but you can always stay safe with a good VPN or a proxy service. Basically, it is your choice, so make a deep research on your country’s politics on this question if you really want to use Popcorn Time. Hulu offers unlimited access to the best TV shows, original series, all-time favorites and hit movies. As far as commercials are concerned, two options are available: the Limited Commercials plan and the No Commercials one. Search and play your favorite movies using Cortana. Resume your movie from where you left it on all your supported devices. 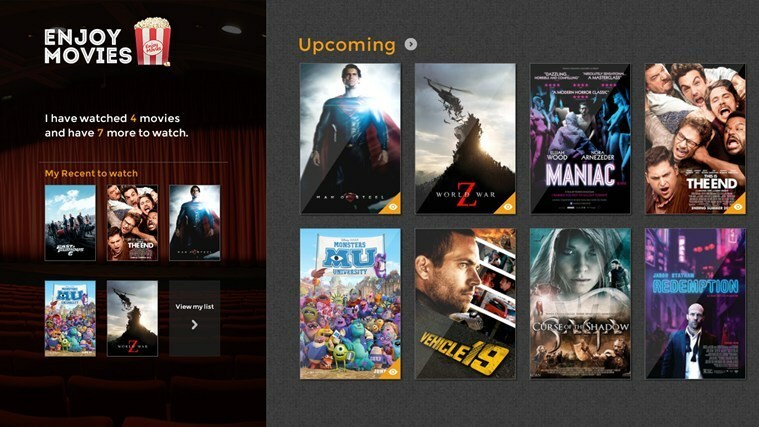 Add your favorite movies to the queue for instant access. Subscription is required and plans start at $7.99/month. 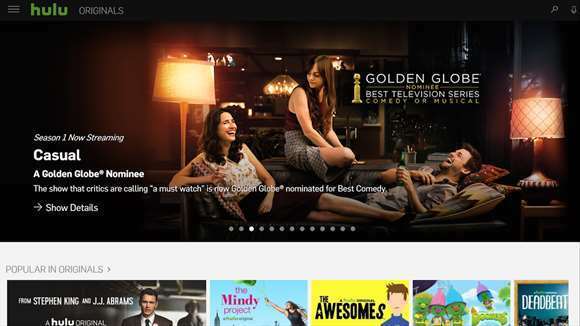 There is also a 30-day free trial period available if you are new to Hulu. Question: What to do if Hulu is not available in my country? Answer: Try to use a reliable VPN service for Hulu and enjoy your favorite TV Shows! YouTube is an enormous platform and a lot of full content is streamed around it. This free app acts as an index for YouTube videos which feature movies and TV show episodes. The app distributes more than 5, 000 free movies in different categories like War, Romance, Comedy, Fantasy, Drama, Musicals and much more. The app is updated daily with new findings. Videos are ranked according to the IMDB ratings and each movie features a mini-synopsis – so viewers can discover new content. This app lets you watch movie trailers, showtimes and stream movies from your UltraViolet movie collection. 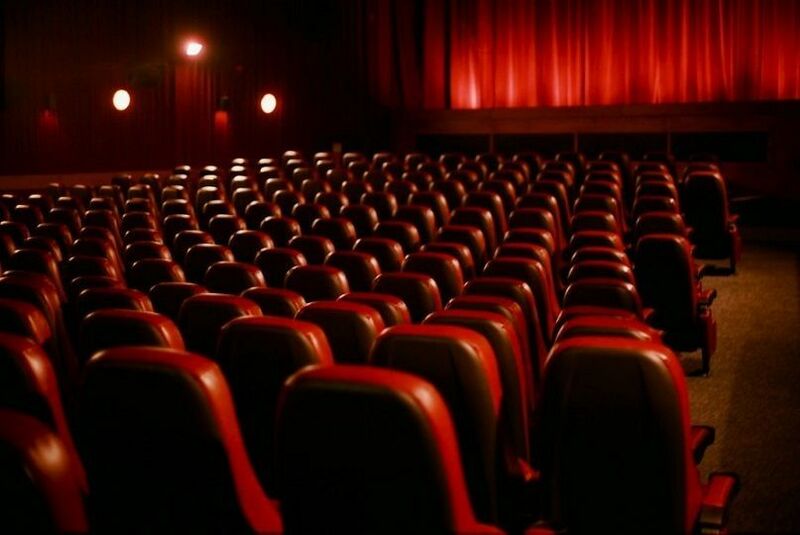 You can browse the top box office movies opening soon and you can even look up showtimes at nearby theaters. You can also create your own “Want to See” list. Following user complaints, the latest update fixes playback issues and general bugs so everything works fine now. 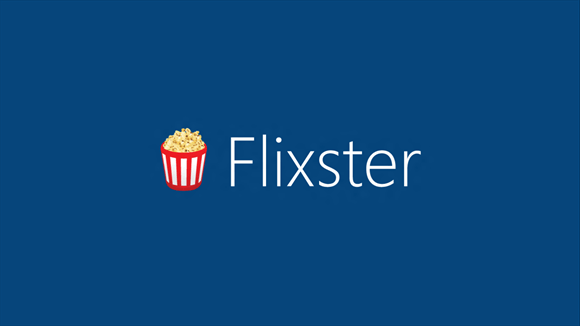 Try Flixter app and let us know about your experience. This apps allows you to stream over 3,000 Hollywood hit movies, concerts, comedies and documentaries. You also get unlimited access to uncut movie versions and commercial-free content. 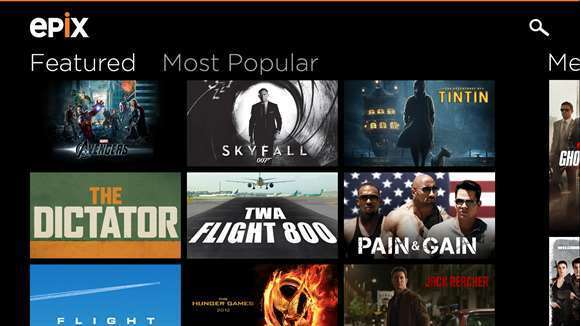 The app is free with your EPIX subscription through your TV service provider. If you don’t have an EPIX subscription, log on to EPIX.com for a 14-day free trial period. 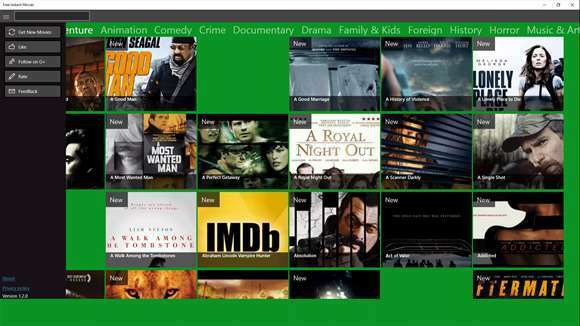 Hotstar app is released by Star Network and it’s designed to run on every Windows 10 device. You can watch your favorite movies and TV shows and pause them in order to get live updates on some sports and games. You will get access to a great variety of genres, from teen drama to fantasy. This app lets you watch hundreds of HD movies organized in genres – action & adventure, animation, comedy, documentary, drama, family & kids, foreign, horror, music & performing arts, mystery & suspense, romance, scifi, fantasy, sport & fitness, war, western. Free Movies Box allows you to play the movies on external devices such as a bigger screen TV, computers and gaming consoles. Also, the list of movies is updated every week so that you can enjoy the latest creations in real time. Update: this app cannot be found in Microsoft Store anymore. When you launch this app, it offers a list of randomly selected movies, called the movies of the day. There is also a search field allowing you to search movies by their title or by language (French and English). With a 4.5 / 5.00 star rating from more than 2,000 users, this is definitely a trustworthy app for watching movies. It delivers what is promises. This tool is a movie streaming player that allows users to access the largest online movie collection available in high definition. You don’t have to download anything, nor sign up in order to watch movies, just tap and watch. 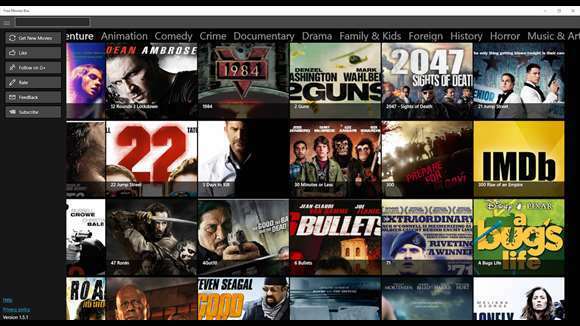 The movie library is organized in popular genres and is updated every day. Of course, you can mirror the movies on bigger screens. This app features an immense catalog of movies from the latest arriving on the big screen to the classic ones you might want to re-watch. Each movie features an overview of the plot. Some of you might remember this app had another name, Enjoy Movies. There are some extra feats which we haven’t spotted in any other apps of the like – like the ability to download wallpapers and set them up as your lock screen. If you own a Microsoft Account even better, you can create a watch list and then sync it with all your Windows 8, Windows 10 devices. Because we noticed a lot of Anime lovers lately, this app allows fans to have access to a collection of YouTube uploaded videos. It indexes a lot of Anime videos and Anime Movies, which some might have overlooked. Discover new Animes and enjoy hours of fun! 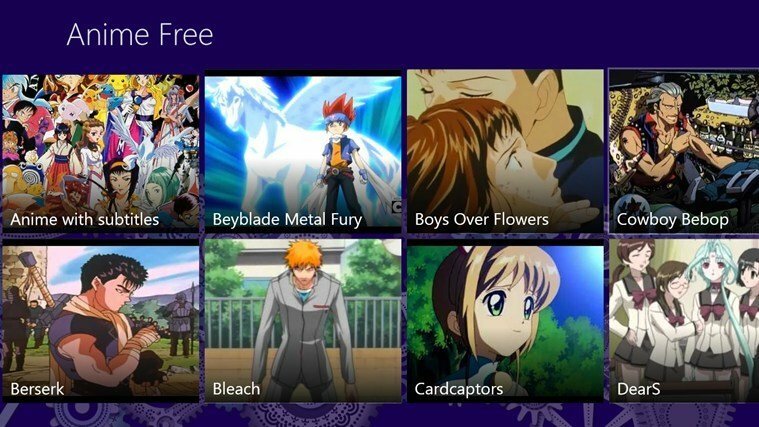 The link for this app is no longer functional, but if you click on it, you can find other anime app suggestions at Microsoft’s Store. The following apps require a subscription after the free trial period. So what are you waiting for? Grab the popcorn and hit the play button! Editor’s Note: This post was originally published in September 2013 and has been since revamped and updated for freshness, accuracy, and comprehensiveness. We want to be sure that our list has the best items that will fit your needs.